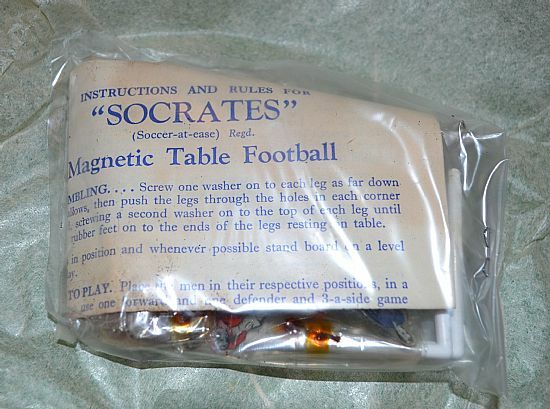 A mighty fine mint unused Socrates magnetic football set from the Newfooty company. 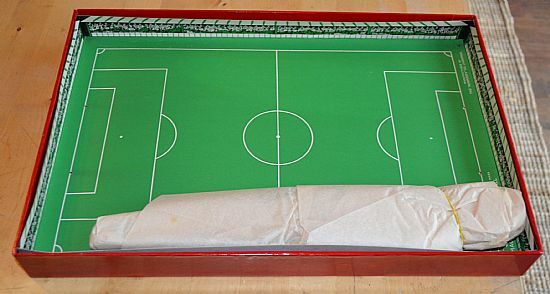 A smaller version with self contained cardboard box pitch. 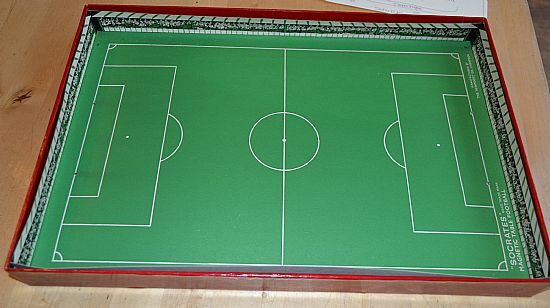 Two a side magnetic action. 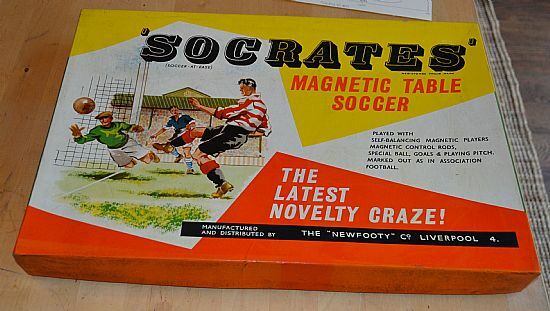 I have a complete used Socrates set for sale in good condition. 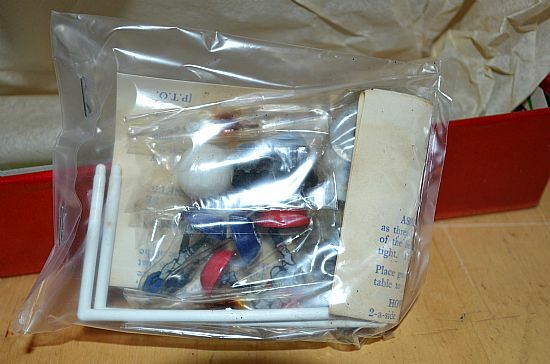 It is not the mint set shown on this page but is complete and in good condition, just one box end repaired. 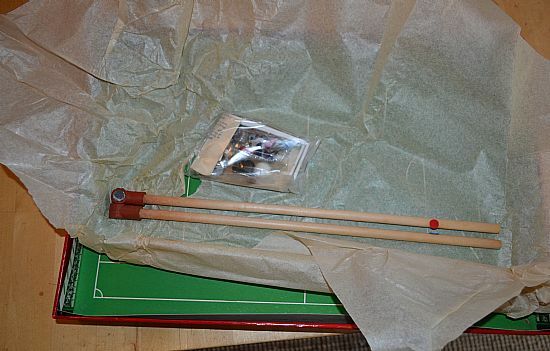 The box contains the pitch and equipment, all wrapped and sealed. Quite small less than an A3 sheet of paper. Two magnetic poles plus the bag of game components and rule sheet. I am so tempted to open the bag! Figures, bases, weights, goals, balls, legs all ready to play with. Nice flat card box with surround printed as stands and crowd. Lovely item.